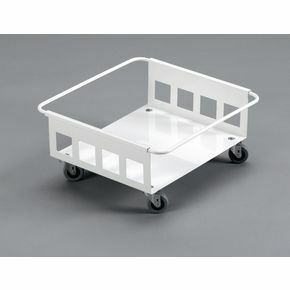 Trolley for 90L recycling containers. Suitable for 1 or 2 bins. 4 castors for easy handling. Hinge connector allows trolleys to be linked in a train.